LINEA – relaxation at its finest! You don’t need to pack a suitcase or go on a long journey. Your dream holiday awaits …in your garden! All it takes is a few clicks and then your new lounger will be delivered. We deliver the lounger complete with the foam lounger cushion, so that you can start relaxing in comfort straight away. All you need is some nice weather and a cocktail for that perfect holiday feeling! The frame LINEA is made from sturdy aluminium. You’ll notice that there are 2 wheels to the back of LINEA. 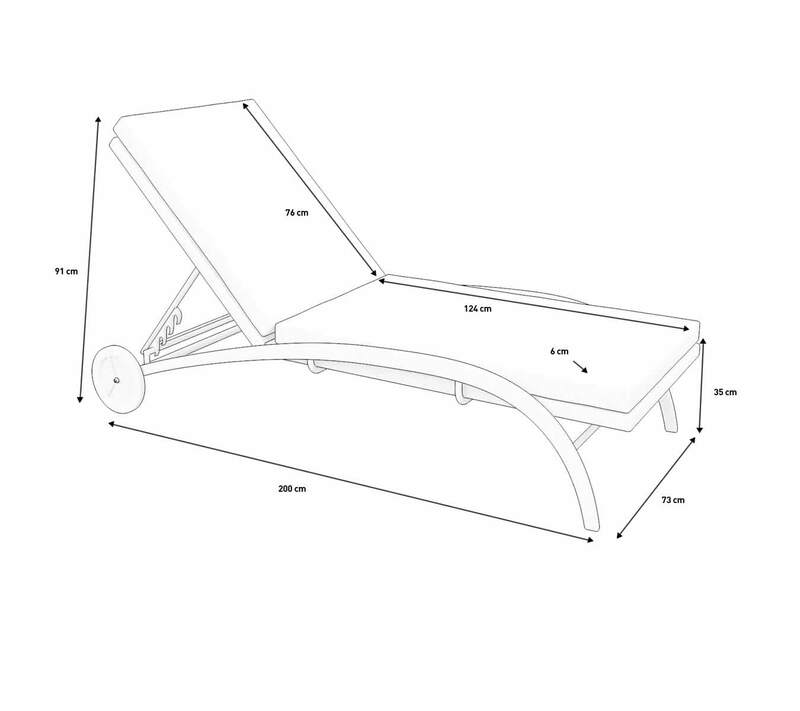 This means that you can tilt the lounger back and steer it in to a new spot when the sun moves. Follow the sun! Be a sun worshipper! The adjustable backrest enables you to sit up and read a book or lie down and take a nap – whatever you fancy. Looking to furnish a wellness area at a hotel? LINEA loungers are perfect! The synthetic rattan is weather-proof. The cushions are water-resistant and comply with UKFR (UK fire regulations).